“The Church cannot remain in a neutral position in the face of the current demands for the reaffirmation of personal dignity,” he said. 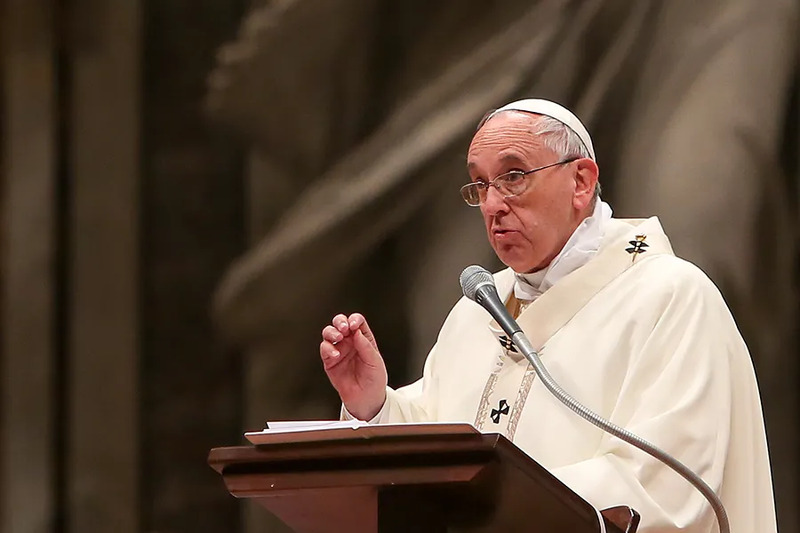 Today, the Church rejects the death penalty in all cases because it “counters the inviolability and the dignity of the person” and denies guilty people the “hope of redemption and reconciliation with the community,” he said. 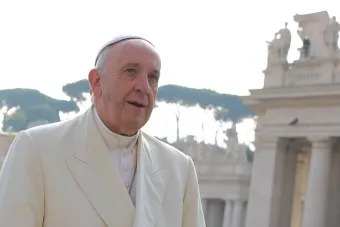 Pope Francis encouraged members of the United Nations to continue to observe the group’s moratorium on the use of the death penalty, first issued in 2007, which asks member countries to suspend the application of the death penalty and to work toward its total abolition. He also invited non-UN-member countries to take steps toward eliminating the death penalty. “The suspension of executions and the reduction of crimes punishable by capital punishment, as well as the prohibition of this form of punishment for minors, pregnant women or people with mental or intellectual disabilities, are minimum objectives with which leaders around the world must engage,” the pope said. He also condemned the “regrettably recurrent phenomenon” of “extrajudicial, summary or arbitrary executions” carried out by state authorities in many countries. The Pope thanked then the delegation for their work and assured them of the Church’s support. 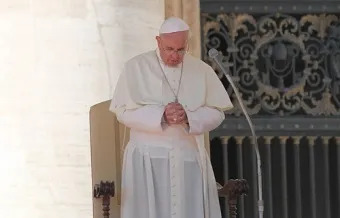 Vatican City, Mar 29, 2017 / 04:56 am (CNA/EWTN News).- With the battle for major ISIS strongholds heating up in Iraq, Pope Francis has voiced his closeness to the country, praying for the safety of people on the ground, particularly civilians caught in the crosshairs of the fighting. Vatican City, Apr 26, 2017 / 02:15 am (CNA/EWTN News).- Early Wednesday morning Pope Francis addressed the TED 2017 conference, telling participants that to have a hopeful outlook for the future, we must plant seeds of humility, solidarity and tenderness today. “We all need each other, none of us is an island, an autonomous and independent ‘I,’ separated from the other,” he said. Pope Francis gave his TED Talk April 26 at 3:30a.m. local time in Rome for TED 2017, which is taking place April 24-28 in Vancouver, Canada. TED is an international media organization that posts brief talks online that are for free distribution and run under the slogan “ideas worth spreading.” The organization was founded in February 1984 as a conference, which has been held annually since 1990. The talks are typically run between 10-20 minutes, and are given by influential speakers who are experts in various fields such as business, science and technology, among others. Subtitles are available in more than 100 languages. Pope Francis is the first pontiff to give a TED Talk, however, just days before announcing his resignation in 2013 Benedict XVI was given the “Charter of Compassion” by the organization’s European director, Bruno Giussani. He noted that for many people a happy future is something that seems distant and at times impossible to achieve. However, while these concerns must be taken seriously, they are not “invincible,” he said, explaining that happiness can be discovered when looking to the harmony that exists between the whole and each individual part. Francis then moved to his second point, saying it would be ideal if scientific and technological growth were coupled with greater equality and social inclusion. Only a thorough education in solidarity can overcome the “culture of waste” prevalent in today’s society, turning people’s attention not so much toward goods and food, but toward people. “It cannot be programmed or controlled. It is a free response born from the heart of each and everyone,” he said, explaining that to truly do good to another person, courage, memory and creativity are needed. Pope Francis then pointed to the parable of the Good Samaritan, explaining, as he often does, that while the two powerful men of the day ignored the man on the side of the road, it was the Samaritan, a “despised ethnicity” at the time, who had compassion and paid for the man’s healing out of his own pocket. The story of the Good Samaritan can easily sum up the state of humanity today, Francis said, explaining that many people’s paths are “riddled with suffering,” as if everything centered around money and things, rather than people. Pointing to Mother Teresa, whom he canonized in September 2016, Francis said she is an example of the people who are “creating a new world” based on care for others. “We have so much to do, and we must do it together. But how can we do that with all the evil we breathe every day?” he asked. “Tenderness means to use our hands and our heart to comfort the other, to take care of those in need,” he said, noting that God himself descended to our level, which is the same thing the Good Samaritan did. But is the above statement true? No. Wrong all these years? No. Exactly right, Joseph. We have a Pope Frankenstein who is ripping the Church apart. If this is not heresy, what is when the clear and certain teaching of both the Old and New Testaments as uniformly followed by Tradition and every pope over 2,000 years are dismissed as ignorant rubbish? Both the Pope and John Finnis are trying desperately to reconcile the Church’s past on capital punishment. It needs to be said plainly: Jorge Mario Bergoglio is a heretic. So for two thousand years the Catholic Church, the Bible, the Church Fathers, the Doctors of the Church, and 265 previous Popes were wrong by holding that the Death Penalty could be morally just in principle, but Pope Francis somehow right by coming to the opposite conclusion? More likely the opposite is true. Assuming that eternal life — in heaven or hell — awaits us after our brief sojourn on earth, anything that redounds to our salvation must be counted as more valuable than human life itself. Far from being inhumane, then, a death sentence is one of the greatest blessings we sinners can receive. By focusing the mind on the mortality that most of us ignore, it provides a compelling incentive for reconciliation. This applies even to those rare few who’ve been falsely convicted. How many “victims” of capital punishment (not to mention terminal illness) might have been damned without the knowledge of their imminent demise? Do they share our mortal squeamishness in paradise? Not likely. They undoubtedly conclude, and rightly so, that we place too much emphasis on this life and too little on the next. Laughable from commentators – the outrage over losing their moral satisfaction over killing people. 6 “Whoever causes one of these little ones* who believe in me to sin, it would be better for him to have a great millstone hung around his neck and to be drowned in the depths of the sea. Some teachings are rooted in Scripture, and are also confirmed by the words of Christ, and also have been preserved in the Church by the Holy Spirit for two millennia. The teaching that the state has the authority to put criminals to death is one of those teachings. Human nature hasn’t changed. God hasn’t changed. That which the Holy Spirit has preserved in the Church for two millennia cannot be legitimately contradicted or reversed, not even by a pope, because that is tantamount to saying that the Holy Spirit made a mistake. And if the Holy Spirit makes mistakes, or Christ has not kept his promise that the Holy Spirit would remain with the Church forever and guide it into the truth, then the whole basis for Catholicism collapses. There are translations that I prefer over Young’s Literal Translation which I used here, but I used the YLT because it gets the Greek word exousian right, translating it as “authority,” instead of as “power” as it often is in English translations of these verses. Anybody holding a hammer who can sneak up behind somebody else has the power to kill them. That isn’t the same as having the authority to kill them. Christ was obviously talking about Pilate’s authority, not his power, and acknowledges his God-given authority to put criminals to death by saying it was given him “from above.” He also makes clear that Pilate is sinfully abusing and misusing that authority as Pilate had already admitted that he found no fault in Jesus (John 19:4, Luke 23:4,15). If Bergoglio wants to abolish truly unjust instances of the sinful misuse and abuse of the death penalty, he should start with the contemporary, militantly atheistic, radically secularized state pretending to have the authority to confer upon women the right to sentence their own unborn children to death, for any reason whatsoever, or for no reason at all. These blatantly criminal executions of innocent children have taken the lives of two billion children in the last 45 years of “legal” murder. That is more people than the entire human population of planet Earth at the beginning of the 20th century. John Paul II, in Evangelium Vitae, called this “murder” and insisted we had an obligation to defy civil authorities. Bergoglio objects to the death penalty for dangerous murderers, and has yet to call for the world-wide abolition of the death penalty being unjustly applied to innocent children. It is time to revisit the claims that Bergoglio’s election to the papacy was not valid. A genuine Pope is protected by the Holy Spirit from officially teaching error. I know certain people think the book by Professors Feser and Bessette volume provides proof of an unchanging Catholic tradition on the death penalty. Some of the examples in this book are not that convincing when you study them carefully. For example, Pope Innocent I’s 405 Letter to the Bishop of Toulouse not only supports the right to carry out the death penalty but also torture (PL 20, 499). Pope St. Nicholas I, however, in his letter to the Bulgarians in 866 says that “neither divine nor human law” allows such torture (Denz.-H, 648). This shows that what Innocent I expressed in his 405 letter about torture and the death penalty was hardly definitive. It’s also important to note that, after being asked whether it’s permissible for people after baptism to administer torture (tormenta) or a capital sentence (capitalem … sententiam), Innocent I says: “About these matters we read nothing definitive from the forefathers” (De his nihil legimus a majoribus definitum; PL 20, 499). This one simple sentence completely refutes Feser and Bessette’s claim that there was a definitive magisterial tradition upholding the legitimacy of the death penalty in the early Patristic Age. Pope Innocent I explicitly states that he reads “nothing definitive” from the forefathers on this matter. The fact that Pope Nicholas I in 866 rejects the legitimacy of torture likewise proves that Innocent I’s 405 letter to the Bishop of Toulouse cannot be considered a definitive magisterial judgment. Pope St. Nicholas also tells the Bulgarians: “….without hesitation and in every possible circumstance, save the life of the body and soul of each individual. You should save from death not only the innocent but also criminals, because Christ has saved you from the death of the soul” (Epistula 97, cap. 25). Since the lives of criminals on death row can be saved, executing them would be as inadmissible for Pope St. Nicholas I (r. 858–867) as for Pope Francis. Feser and Bessette also appeal to the “profession of faith” prescribed for a group of Waldensians by Innocent III in 1208 and amended in 1210 (Denz.-H 790-797). Innocent III’s profession states that the death penalty can be carried out by the secular power under certain conditions “without mortal sin.” This is hardly a hardly an enthusiastic endorsement of the death penalty. It’s simply a judgment on the subjective culpability of the one who carries out the sentence for the secular power. If this judgment were definitive, then nothing in the 1210 profession of faith could change. 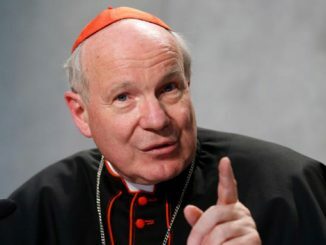 This same profession, though, also requires Catholics to oppose “manifest heretics… even unto death … as adversaries of Christ and the Church” (Denz.-H 796). This requirement, though, was not reaffirmed by Vatican II, which looks upon Non-Catholic Christians—who are in material heresy on many points of dogma—as “separated brethren” (Decree on Ecumenism, 3). Sometimes only with the passage of time can we know which teachings are definitive and which are open to development. The Magisterium is the authority to decide this, not private scholars like Professors Feser and Bessette. For since man, by departing from God, reached such a pitch of fury as even to look upon his brother as his enemy, and engaged without fear in every kind of restless conduct, and murder, and avarice; God imposed upon mankind the fear of man, as they did not acknowledge the fear of God, in order that, being subjected to the authority of men, and kept under restraint by their laws, they might attain to some degree of justice, and exercise mutual forbearance through dread of the sword suspended full in their view, as the apostle says: “For he bears not the sword in vain; for he is the minister of God, the avenger for wrath upon him who does evil.” And for this reason too, magistrates themselves, having laws as a clothing of righteousness whenever they act in a just and legitimate manner, shall not be called in question for their conduct, nor be liable to punishment. But whatsoever they do to the subversion of justice, iniquitously, and impiously, and illegally, and tyrannically, in these things shall they also perish; for the just judgment of God comes equally upon all, and in no case is defective. Earthly rule, therefore, has been appointed by God for the benefit of nations, and not by the devil, who is never at rest at all, nay, who does not love to see even nations conducting themselves after a quiet manner, so that under the fear of human rule, men may not eat each other up like fishes; but that, by means of the establishment of laws, they may keep down an excess of wickedness among the nations.